Thinking about buying Skim milk? Here is why you shouldn't! Thinking about buying Skim milk? Here is why you shouldn’t! Drinking milk has been in fashion from decades, from adults to children everyone seems to love this nutrition cocktail. However as time is passing the health conscious individuals are coming up with ways to avoid the fat content of milk instead trying to get all the other required nutrients from it. That is why for years you are being told to opt for skimmed milk instead of that traditional full cream milk. More so the Federal dietary lines published in USA clearly stated to consume and prioritize the skimmed milk over full fat milk. But do you really know whether skim milk is as good as the dietician claims it to be? Check out the rest of the article because finally the debate is going to be settled after years. How do they make skim milk? If you are wondering how do you make skim milk from whole milk? This is how skimmed milk is actually produced. On traditional notes the fat can be easily separated from the milk due to the factor of gravity. If you let the milk sit on room temperature for a while, you will observe that the cream which is loaded with fats emerges on the surface, leaving behind the residue known as skimmed milk. Although this method is more homes based commercially there is a whole big procedure with which the skimmed milk is produced. The quickest possible way to produce skimmed milk on commercial level is by adding the milk in a large machine known as centrifugal separator. These machines spin so fast that all the fat molecules are separated from the milk. Before initiation of this process the food company makes sure to homogenize the milk, this is a process in which the company makes sure that all milk particles are of same size so that the later process can occur 100% efficiently. How many calories in skim milk? As a whole there are 91 calories present in 1 cup or 8 ounces of milk. Further going into the skim milk nutrition content of the food, the fat present in skim milk is 0.6 gram, the amount of cholesterol present is 5 mg, sodium is about 130 grams, carbohydrate is 12.3 g ( both dietary fiber and sugars are inclusive), protein is 8.7 and the amount of calcium in 1 cup of skimmed milk is 316.1 mg. 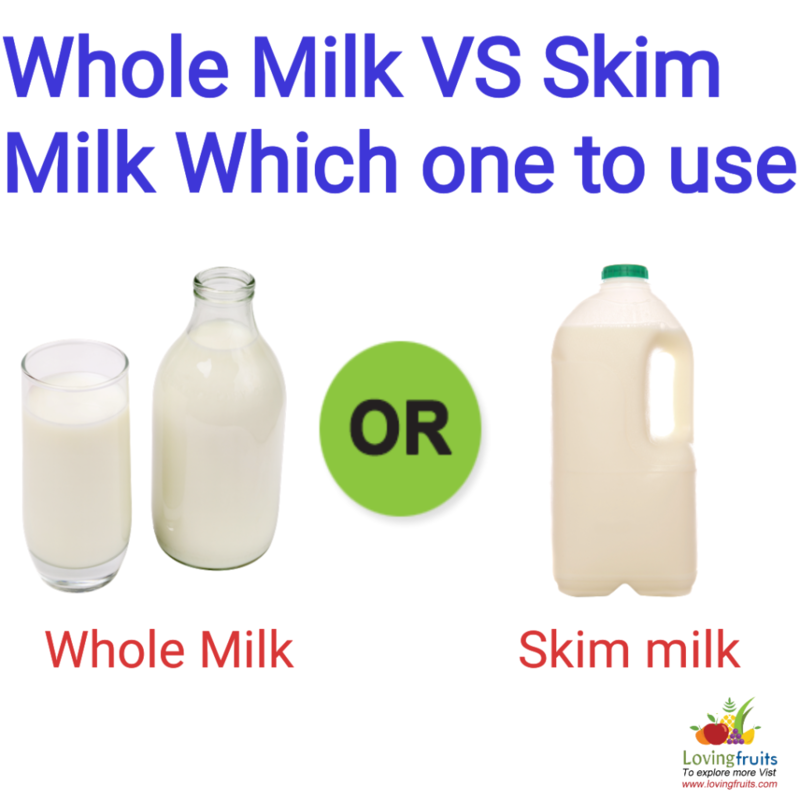 Skimmed milk vs. whole milk, which one is better? It can easily be explained as to why the nutritional federal guidelines have been so much in favor of skim milk probably because of the dramatically lower caloric value. A cup of whole milk contains 150 calories whereas a cup of fat free or skimmed milk contains only 91 calories, Amazing Right! Even better is that the amount of protein and calcium provided by the skim milk is same like whole milk. For people who are following a strict diet regimen skimmed milk is nothing but a blessing to them as the nutritional value is not compromised and the milk is still free from fats. Skim milk has low saturated fat which is further linked with multiple heart diseases and diabetes. So these are probably some of the reasons why skim milk is being advocated by the federal dietary guidelines so much. So even though skim milk has been prioritized so much, a growing number of researcher’s suggest that whole milk is way better than the skimmed milk. In recent studies, it has been proved that the saturated fat present in whole milk is beneficial for our heath as it helps the body in absorbing fat soluble vitamins which can’t happen otherwise. The fat soluble vitamins include vitamin D, A and E. In fact some of the studies also depicted that the saturated fat present in whole milk do not cause any heart diseases at all. 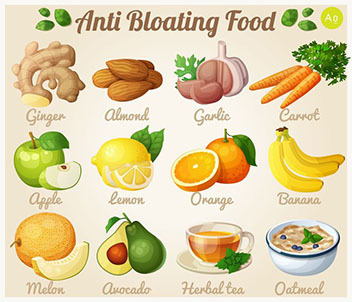 Over the past 10 years several studies have conducted in order to find the link between fats and weight gain, and almost all of them concluded that fat is not much harmful to our health and it does not contribute at all in gaining weight. Besides providing fat soluble vitamins, whole milk also helps the body in reducing the chances of several forms of cancer. Whole milk also contribute in gaining muscle mass in fact a cup of milk after workout can actually boost the growth of muscle on a faster rate. What are some skimmed milk benefits? Skim milk is the best source for calcium and in fact the fat free milk is loaded with calcium. Do you know that muscle, nerves and pancreas need trace amount of calcium in order to move the body. Your body needs calcium for the teeth and bone growth too. Drinking skim milk provide of 300 mg of calcium which fulfill 30 % daily calcium intake of the body. Although the calcium intake is higher in all the dairy products but choosing skim milk over the other dairy product is always a plus point because of no fats. As mentioned above the vitamin D and A are the fat soluble vitamins which are found in the skimmed milk. During the process in which fat is taken out of the milk, usually the vitamins are also extracted out so in order to put these vitamins back in the milk the manufacturer carry the process of fortification which re-adds those vitamins without the hint of health harming fats. Among all the others vitamins, the vitamin D ensure that your body is properly absorbing and utilizing calcium for daily functions. Vitamin A in milk ensures a healthy looking skin and eyes, not just that it also takes care and enhances the function of the immune system of the person drinking that skimmed milk. Drinking a cup of skimmed milk gives you 500 international units of Vitamin A and 115 IU of the vitamin D. meaning thereby the daily vitamin requirement is 21% completed by drinking a glass of skimmed milk in women and for men it is 17%. The level of vitamin A and D always varies from company to company, depending upon your need do make the habit of checking nutritional labels before purchasing your fortified skimmed milk. Surprisingly skim milk contains all nine amino acids making it the richest source of protein. These amino acids are known to build up the lean muscles in the body. There are so many studies according to which the proteins found in skim milk builds muscle in the body at a faster pace than the soy milk. Among other proteins, casein is a type which can be easily digested by the body of the consumer. Drinking a cup of skim milk every day provide you with 8.5 gram of protein on daily basis. There is a wide variety of minerals which are provided to the body by the skim milk. These minerals are selenium, calcium, magnesium, potassium, phosphorus and zinc. As mentioned above calcium is super beneficial for bones and teeth and also makes sure that the muscles are properly contracting. Potassium regulates the blood properly thus ensuring maintained blood pressure and heart functioning. 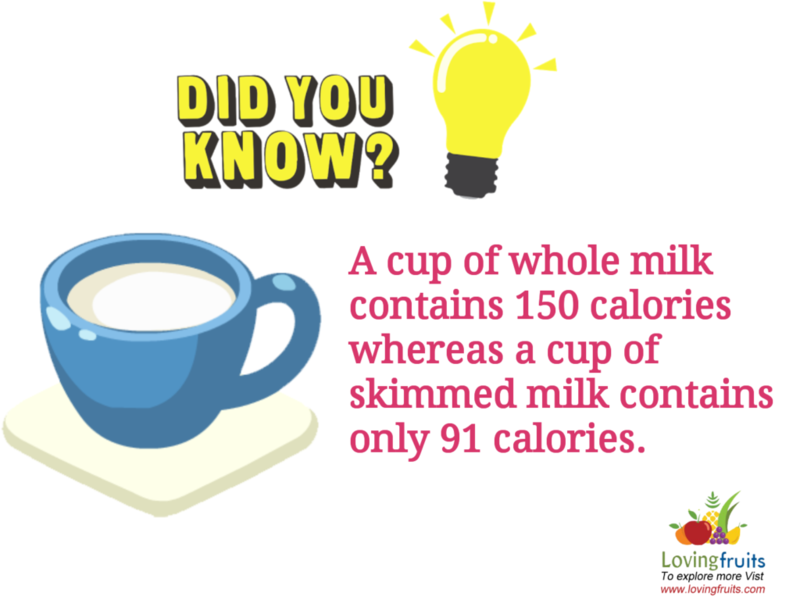 How many calories in tea with skimmed milk? In a cup of tea (240 ml) which is made with skimmed milk there are only 10 calories present. Breaking down the calories gives us 4% calories from fats, 60% from the carbohydrate and almost 37% from the proteins. Is sugar added to skim milk? No, there isn’t any added sugar in skim milk rather the sweet taste of skim milk is developed due to the fact that it has high amount of lactose present in it. 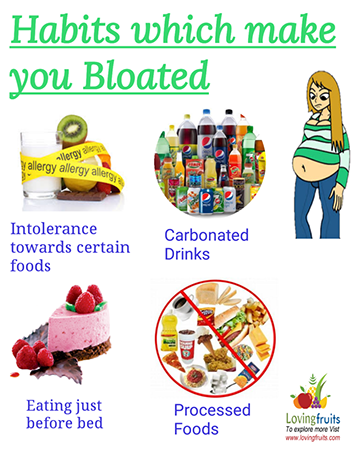 Mind it the lactose is a form of sugar which is present in dairy products. There is no added sugar in the skim milk. Is skim milk bad for you? 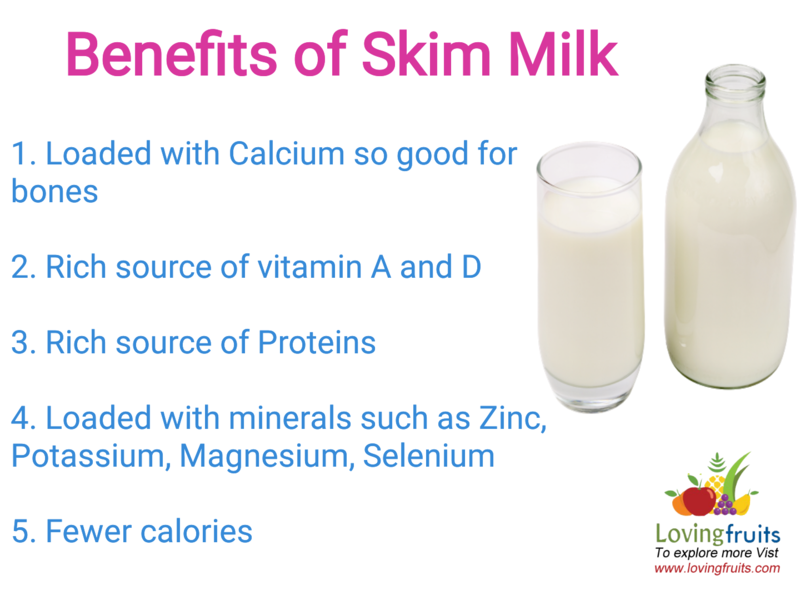 Skim milk is not over all bad for your health as it provides several health benefits. Even there are many diseases even the chronic ones which can be reduced by using the skim milk. Using skim milk for reducing weight and eating all the other foods which have high number of fat doesn’t give you any benefit. So according to many dieticians’ full fat milk and fat free milk should be chosen according to the lifestyle of yours. If you have healthy diet and you consume fresh fruits and nuts on daily basis, consuming a glass of full fat milk will not harm your health in anyway. Skim milk is produced when all the fat molecules are taken out from the milk thus leaving behind potential nutrients and mineral in the residue. From several years the usage of skimmed milk is in debate. Each year scientist either presents a statement in favor or against the fat free milk. Do you know that in the process of skim milk production at commercial level, they add skim milk powder to skim milk? Yes, for the production of skim milk powder a high pressure is applied to the milk to make it powder. During this process nitrates are produced in the milk and cholesterol is converted into oxidized cholesterol. The oxidized cholesterol buildup plaque in the arteries contributing to heart disease. So, go for natural ways and remove fat from fresh milk at your home to make it skim milk. Anything natural will not harm your body because you know that it is real organic and natural. So finally it is been concluded that using skim milk totally depends upon the kind of lifestyle one is living with. Having a healthy lifestyle means that one should go for full fat milk and if someone is trying to lose weight than skim milk is the best option as it provides adequate nutrients. ← ARE GRAPES GOOD FOR CONSTIPATION?